Imelda Osayande, NAN: Oba Ewuare II of the Benin Kingdom in Edo has advised Gov. Ayodele Fayose of Ekiti to eschew conflict and embrace peace in the interest of his state and Nigeria. Oba Ewuare II gave the advice while receiving Fayose in his palace on Thursday in Benin. He said that no meaningful development could take place in an environment of rancour. The Oba said that all hands should be on deck to ensure that the current economic situation in the country was addressed and everybody eschewed violence. While assuring Fayose of his support, the monarch said that he would soon embark on a nationwide post-coronation tour to strengthen relationships and ensure peace among the various ethnics and different cultural groups. Earlier, Fayose, told Oba Ewuare II that he was at the palace to pay homage and seek the monarch’s royal blessings. 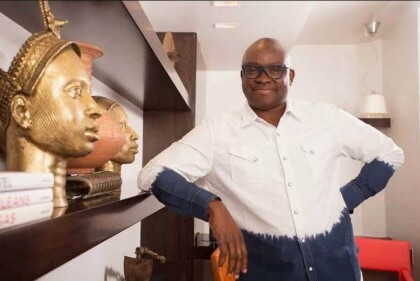 Fayose said that he was overwhelmed by the achievements of the monarch within a few months in office. He said that Oba Ewuare II had restored sanity to the Benin Kingdom and the state in general.